Würzburg, 04 July 2018. va-Q-tec AG (ISIN DE0006636681 / WKN 663668), a technologically leading supplier of highly efficient products and solutions in the thermal insulation and cold chain logistics area, held its 2018 Annual General Meeting on 28 June 2018. More than 300 participants gathered on the panorama level of the Würzburg Congress Centre to be informed in detail by the Management Board about developments and trends in the 2017 financial year and the further outlook. 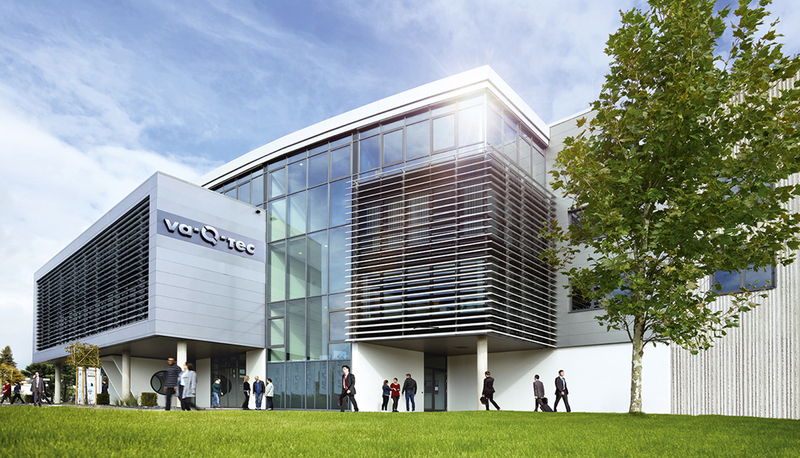 As in the previous year, va-Q-tec also welcomed numerous shareholders from Würzburg and the surrounding region. A very high presence of shareholders also attended this year, representing 73% of the share capital. The Management Board reported in detail on the 2017 financial year and the first quarter of 2018. Accordingly, 2017 significantly reflected considerable, strategic investments in site expansions, capacities and structures, the internationalisation, the further expansion of the container and box fleets, as well as the international teams of va-Q-tec AG. Revenue in 2017 was up by 32% year-on-year, increasing from EUR 35.5 million to EUR 46.9 million. Earnings before interest, tax, depreciation and amortisation (EBITDA) rose by 4% to EUR 7.2 million. The company also succeeded in adding some major customers to its customer base. As of the end of 2017, the va-Q-tec Group employed a total of 390 staff at meanwhile eight locations worldwide. Together with the numerous logistics sites of the international rental business, va-Q-tec already acts as a recognised global player, and as a reliable partner to blue-chip customers worldwide. In the first quarter of 2018, the company continued to implement its strategy, realising significant investments in its two locations in Würzburg and Kölleda, in machinery and equipment for capacity expansion, as well as in the expansion of the container and box fleets. The internationalisation was also advanced with the opening of the new location in Langhorne, USA. Total revenue in the first quarter of 2018 grew by 6% year-on-year to reach EUR 12.0 million, almost matching the two record quarters of Q3 and Q4 in 2017 (EUR 12.1 million and EUR 12.3 million respectively). At the same time, however, revenues in the service business reduced by 12% year-on-year and EBITDA decreased to EUR 0.7 million. In this context, the lack of revenue growth in the service business as well as a marked increase in the investment and cost base strongly affected results. Overall, the Management and Supervisory boards were well received by the shareholders in attendance: all agenda items were approved with accepted with approval rates between 94% and 99%. In particular, all Supervisory Board members were re-elected for a further period of office. The election was held as individual elections in accordance with the recommendation of the German Corporate Governance Code (DCGK). Dr. Gerald Hommel will continue to act as Supervisory Board Chairman. The detailed voting results of the 2018 Ordinary AGM are available for downloading from the corporate website of va-Q-tec within the Investor Relations/Annual General Meeting area.